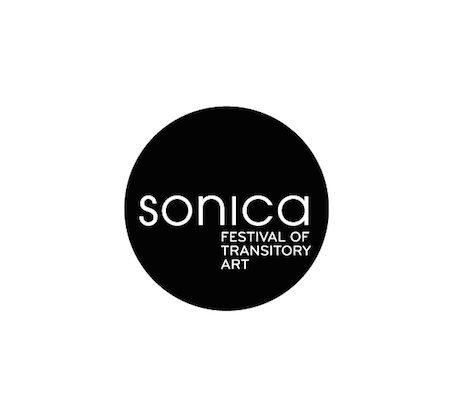 This year’s SONICA festival in search for transitory embeddedness of diverse media of artistic performances, follows the lines of opening, linking and division. The uncaptured nature of sound as the main point of transitoriness is set to embody not only through and into different media through which we are addressed by this years’ artists but through experience, knowledge and expertness as well. We would like to share this aim with the public and weave the linkage of transmission not only in different forms of artistic events but also in the form of workshops, artist talks, talks between artists and thus create a polygon which echoes also outside the sole confrontation with the artistic piece or performance. The concert program is broadened with eight free admission workshops all related to the sound and music someway. dissect contrabass to the multilayerness of the sound installation, performance, composition material in the relation between physical materiality of contrabass and the astonishing play of deep sound frequencies. a visit of concert underground with Jerusalem In My Heart substantiated with three local masters of electronics from the CTRL N compilation: A Lesson of Slovene Electronics; and finally a dance event with one of the most exploding star of the dark techno and drum mash-up, a New Zealand FIS. You are welcome to attend all four concerts with a single festival ticket. At the end of the festival there is a celebration of the second anniversary of MoTA Point! It is connected with the closure of Biennial of Independent Illustration. At MoTA Point the fest will start with the program which shall for now remain a secret, and at 10 PM we will move to the nearby Argentinski Park where we will be introduced to the dark portrait of love from duo LEALUDVIK. THE OPENING CONCERT OF THE FESTIVAL! Exhibition will be open until Tuesday, 10.11. Yair Elazar Glotman: Territorial Music. Exhibition will be open until 18.11. Second pefromance will take place on Sunday 15.11. 2nd ANNIVERSARY of MoTA Point! Exhibition of videos and BYOB! For all concerts the entrance fee is 6 eur presale / 7 eur on the day of the event. The only exception is the opening concert where entrance fee is 8 eur presale / 10 eur on the day of the event. All income from festival tickets will be invested in the coming workshop program Futureschool which combines art, technology and creativity. Presale tickets: mojekarte.si (mastercard, maestro) and Pritličje, Mestni trg 2 (cash). All workshops at MoTA Point are of free admission, but the number of places is limited therefore we kindly ask you to apply in advance by e-mail to: mota.museum@gmail.com. All workshops will be focused on concrete knowledge, with IZLAND and KUKLA workshops we will also make an exhibition, therefore we expect candidates with serious intentions only. At Yuri Landman’s workshops we will make our own instruments. Admissions for these workshops will only cover material costs for the workshops. With SONICA workshops we announce the FUTURESCHOOL workshops program which will take place in 2016. Futureschool workshops are part of the MoTA program and connect art, technology, design and create irregular connections of innovative ideas and research spirit as well as link innovators and youth.